Swachh Bharat Mission (SBM) is a campaign in India that aims to clean up the streets, roads and infrastructure of India's cities, smaller towns, and rural areas. 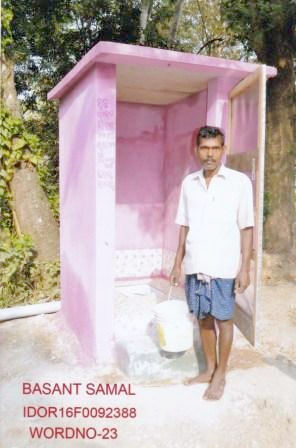 The objectives of Swachh Bharat include eliminating open defecation through the construction of household-owned and community-owned toilets and establishing an accountable mechanism of monitoring toilet use. Run by the Government of India, the mission aims to achieve an Open-Defecation Free (ODF) India by 2 October 2019, the 150th anniversary of the birth of Mahatma Gandhi.